We’re inside our house a couple of kilometres inland and the roar of the sea is deafening, amplified after dark when there are even fewer sounds than in the hours of daylight. It’s a humbling sound, nature reminding us loudly of what power it possesses. And it’s something which happens during the winter/spring changeover every single year. 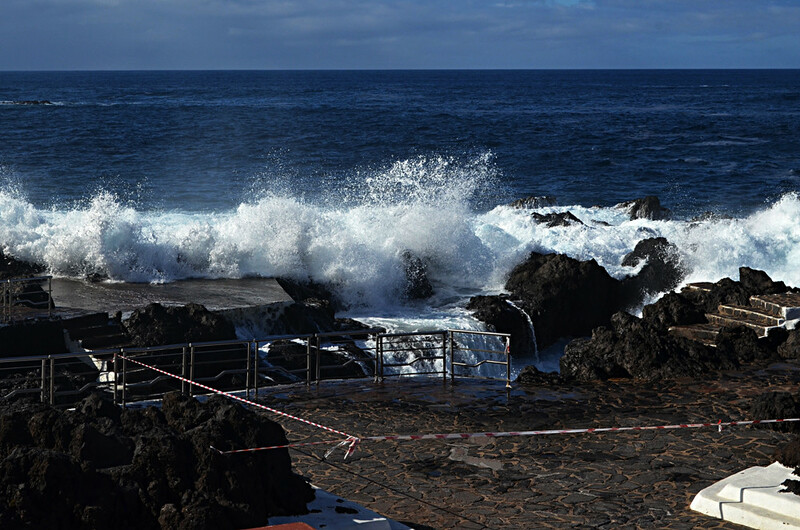 Some people will have heard about the tragedy which occurred on the coast near Los Gigantes in Santiago del Teide yesterday when two people lost their lives after huge waves swept them from the rocks. It’s a tragic accident. 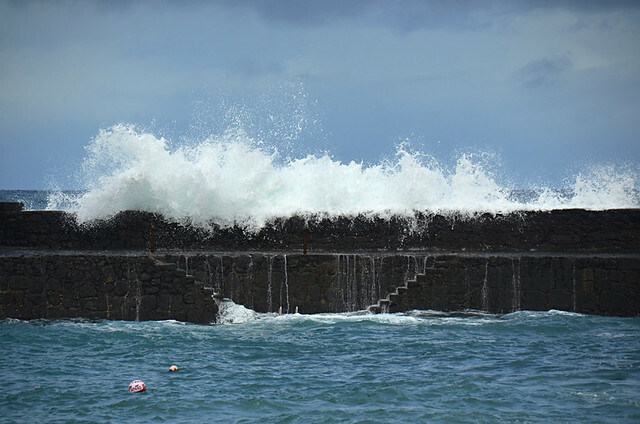 People being swept off rocks or from sea walls when the sea is in a wild mood is unfortunately not uncommon on Tenerife. Every year we write about the dangers of straying too close to the sea when the waves are feisty. They are admittedly magnetic and an awesome spectacle to behold, but it is the Atlantic and should be treated with the greatest respect. I grew up on a Scottish island and learnt to swim in water which was icy, strong-willed and often choppy. From an early age I knew not to mess with the sea. 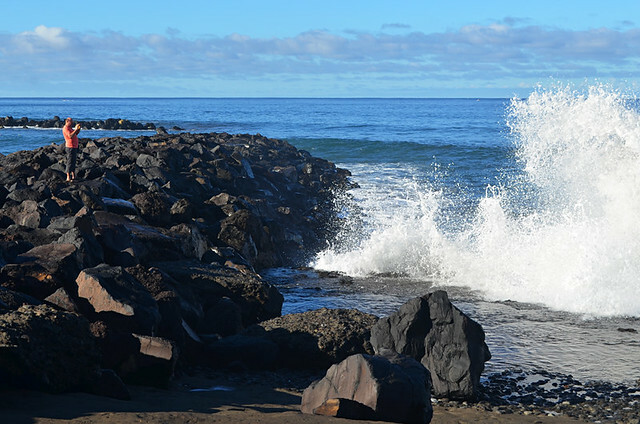 For me the water around Tenerife’s coastline is warmer and generally calmer than that of my childhood, but the currents can be strong and the waves overpowering even under normal conditions. When there’s an alert for costeros (see this article for a detailed explanation about costeros) more often than not it applies to the north, so on this side of the island we’re familiar with what being battered by huge Atlantic rollers involves. But occasionally the big waves affect southern parts as well, like they did this week. I’ve heard people who might not be as used to the big waves phenomena associate this particular alert with bad weather, which is often incorrect. Sometimes the sea away from the coast doesn’t even appear choppy. Often the conditions on land are what holidaymakers could view as perfect; hot, not a breath of wind and unbroken blue skies. This blissful combination can lure people who don’t know the island’s weather patterns into underestimating sea conditions. 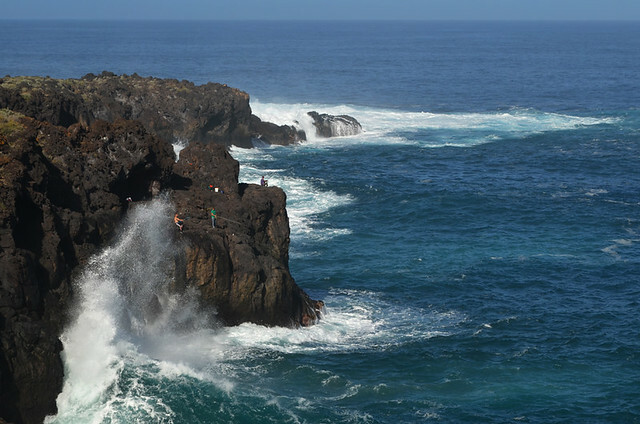 However, although there were plenty of warnings about higher than normal waves this week, there wasn’t an official weather alert for Tenerife’s coast. 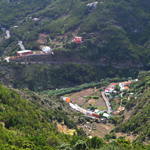 But there was an alert for El Hierro and La Palma which should have warned anybody checking reliable weather sources that Tenerife would also be affected. But big waves are hardly subtle. It’s rare that one appears from a calm sea without any warning. The problem is when people are on holiday their guard can be down and they don’t necessarily have the same information/knowledge locals have. 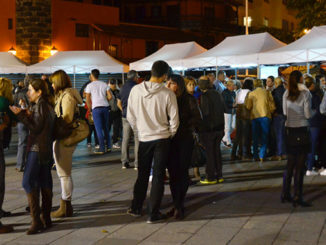 Some non-Canario residents can be equally out of the loop depending on where they get their information. I’ve read some comments about the dangers sea pools pose. Sea pools aren’t dangerous. There are far more of them along the north coast than in southern parts, mostly used by locals who obviously have a better understanding of Tenerife weather conditions than visitors. It’s using them when conditions are dangerous which is fraught with danger. Getting close to sea when there are big waves is inviting trouble. Some local authorities try to deter people, especially those who don’t appreciate the sheer force of nature, by putting up tape to close off sea pools and harbour walls. This week, even though there wasn’t a weather warning, some beaches and pools along the north coast were closed to the public. 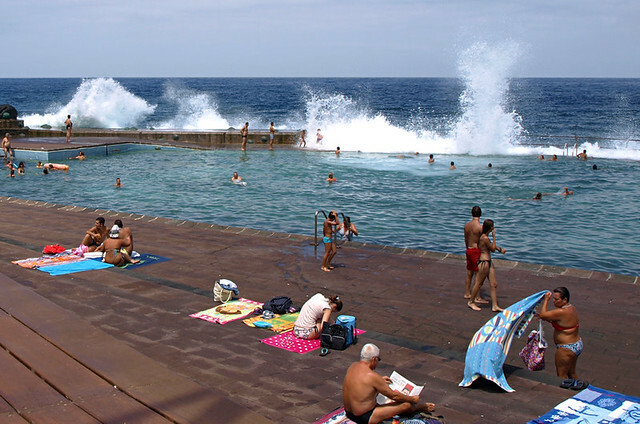 At this time of year there’s regularly red and white tape across entrances to the rock pools in Garachico and along the sea wall linking Playa Jardín with the harbour in Puerto de la Cruz. And yet I’ve lost count of the number of people I’ve watched ignore them. There will no doubt be accusations officials could have done more to prevent this week’s tragedy, and maybe they could. I don’t know if any warning tape was in place. Ultimately, nature is nature – a force which cannot be tamed. You can’t sanitise it and personally I wouldn’t want to even if you could. But there is a tool which whilst it’s never going to completely eradicate accidents can help reduce them whether on the coast or in the countryside. It’s called applying common sense. 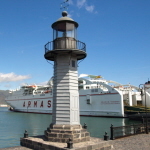 There are quite a few interesting lighthouses still flashing nightly around the coast of Tenerife. Some are easy to spot, others take a bit of a trek to reach.